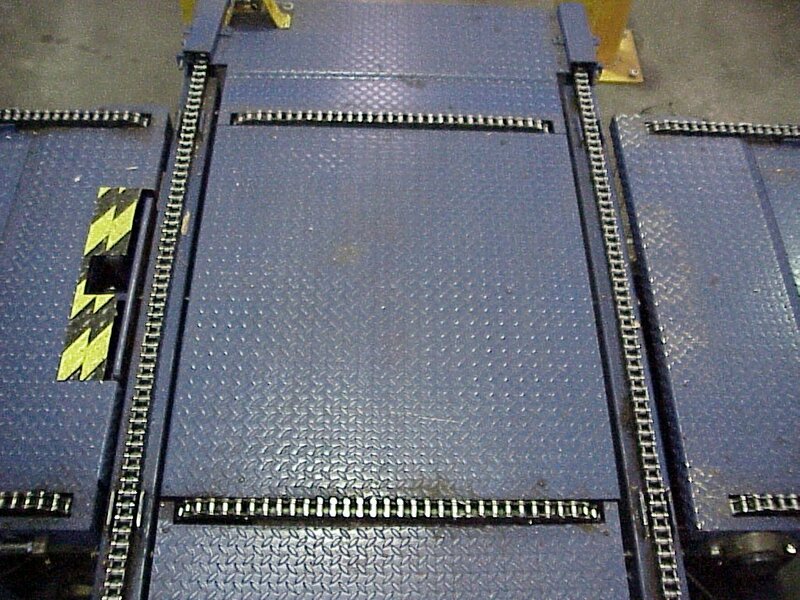 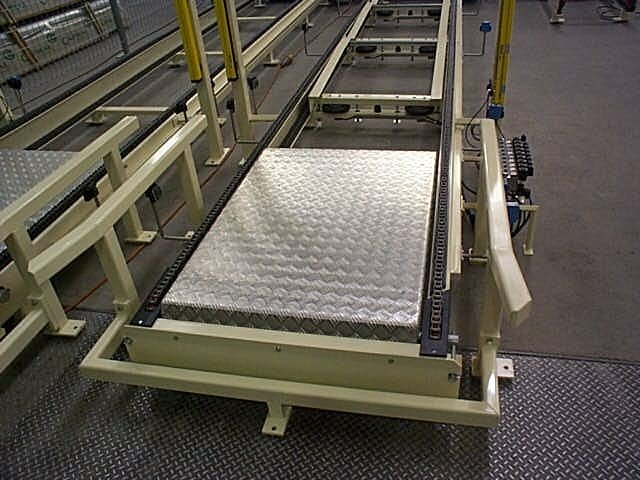 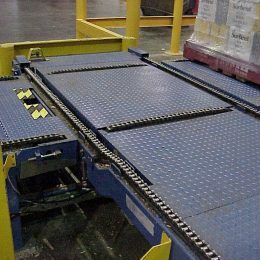 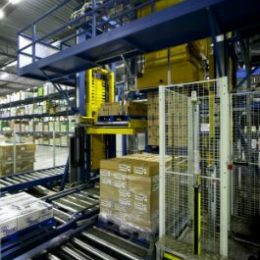 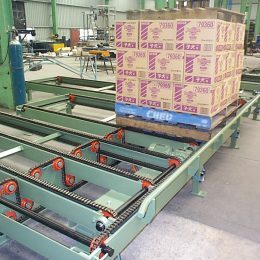 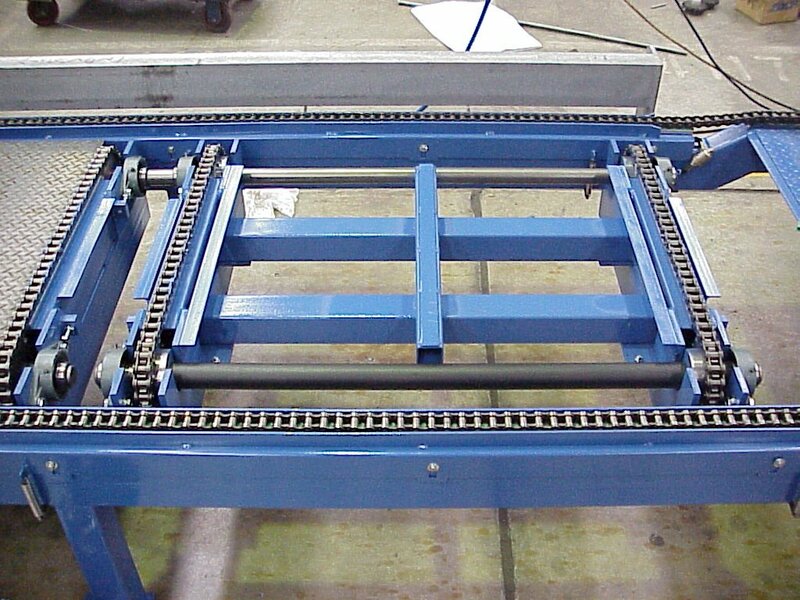 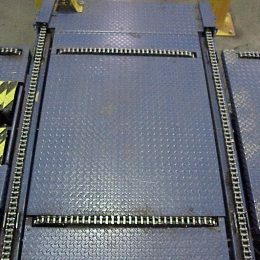 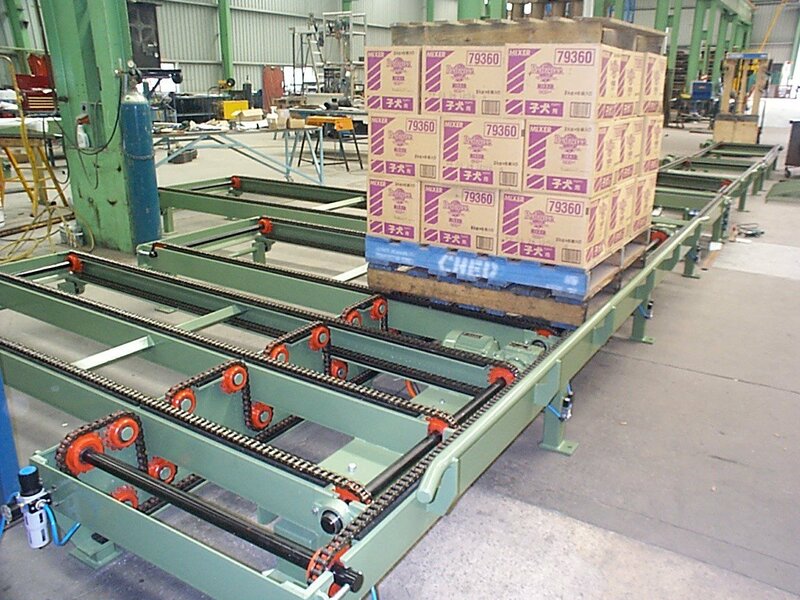 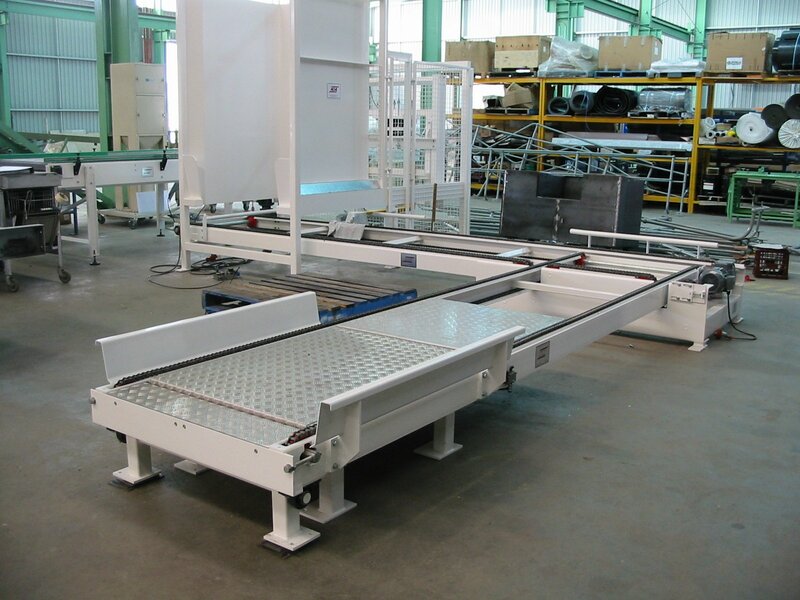 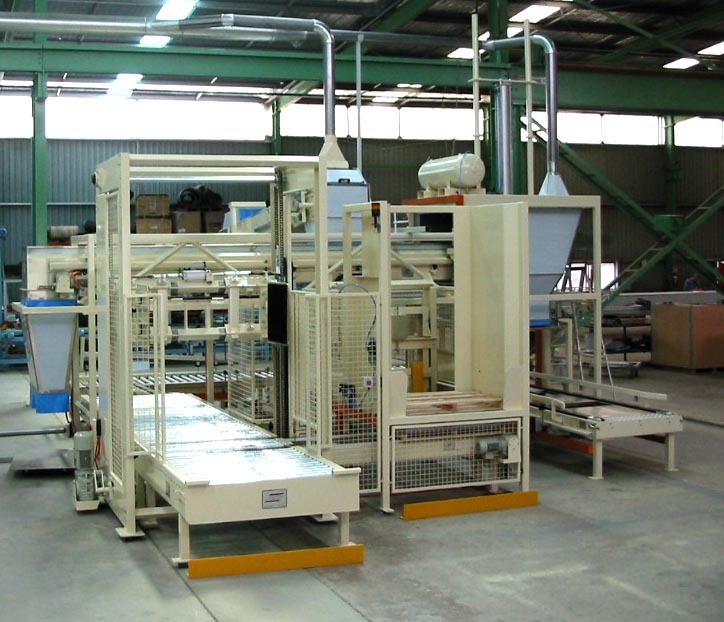 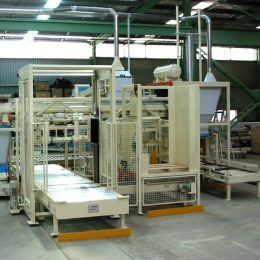 ICA can supply a pallet handling solutions to lower labour costs, preserve product quality, and save valuable floor space by providing empty pallet supply and storage, pallet routing or a blend of empty and full pallet handling technology to transfer, lift, and elevate for automatic loading. 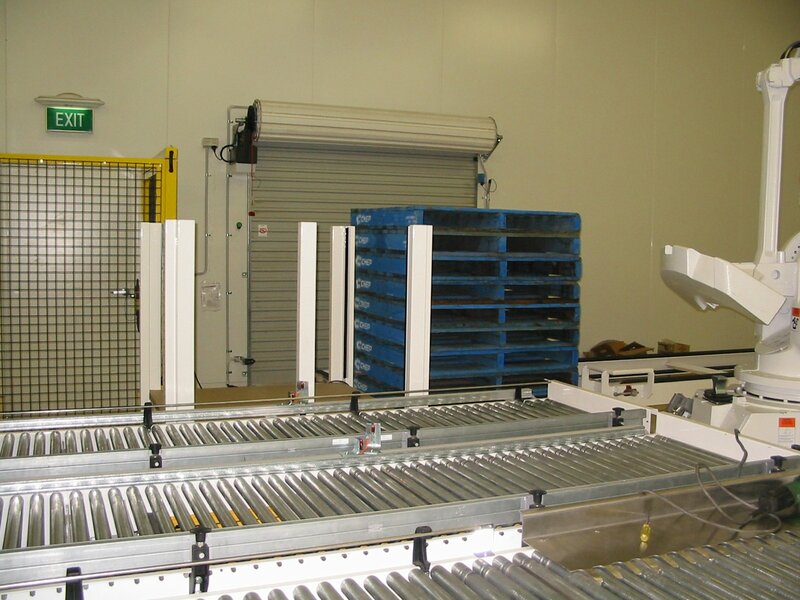 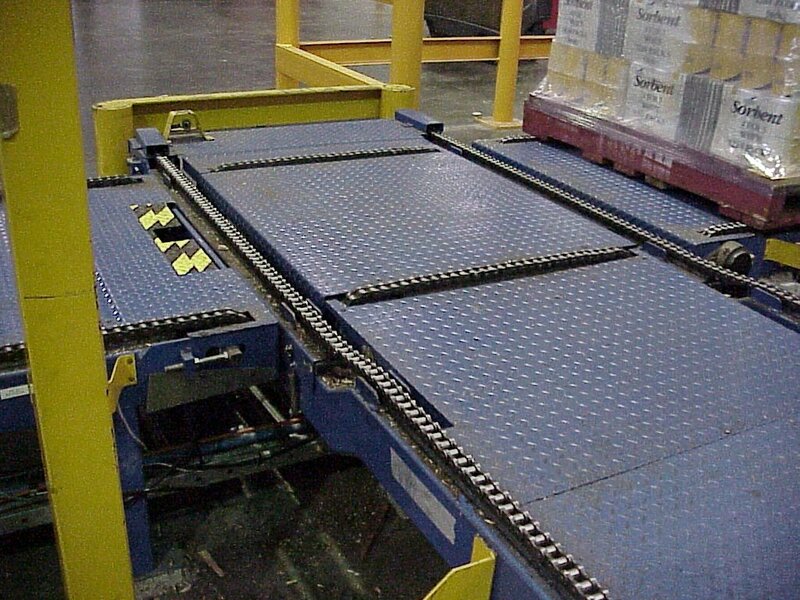 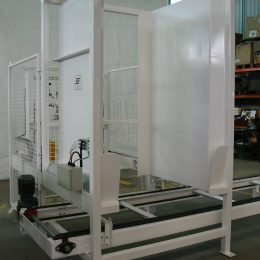 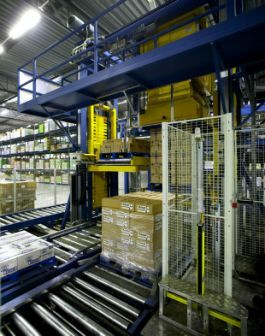 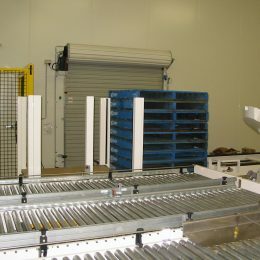 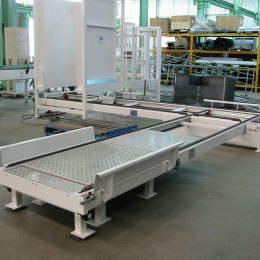 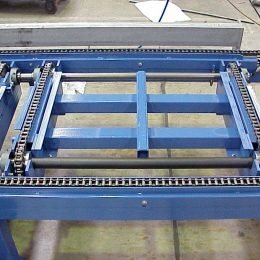 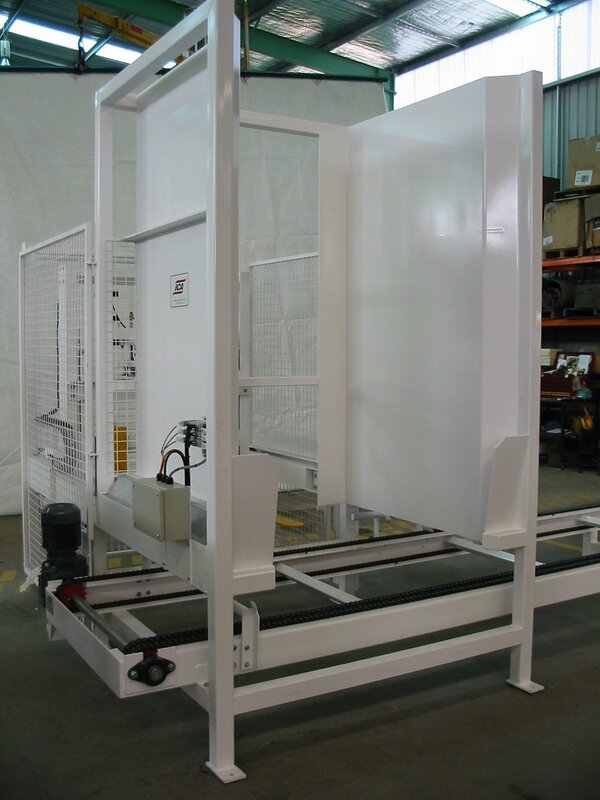 Handling both empty and full pallets with capacity to lift, transfer, rotate, elevate, invert, dispense and store. 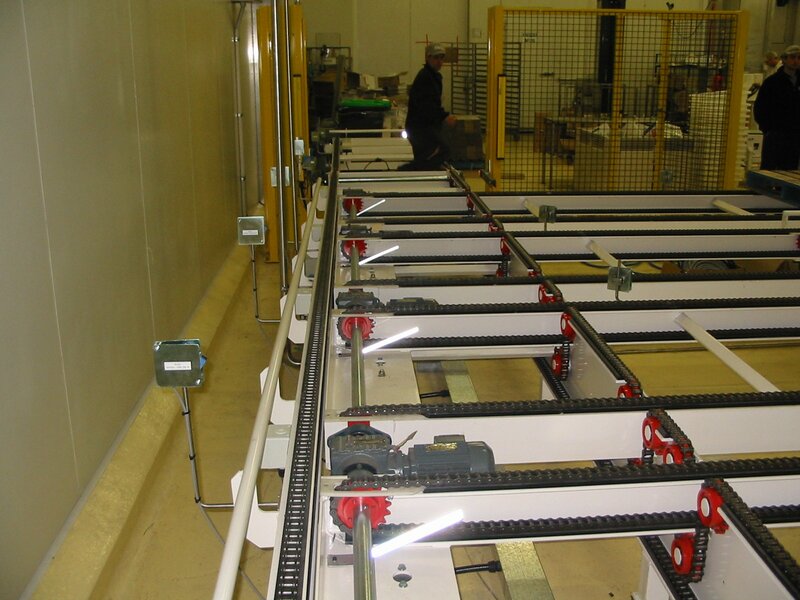 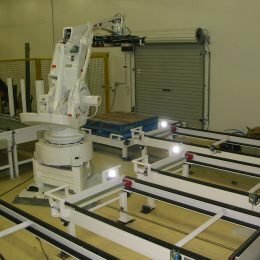 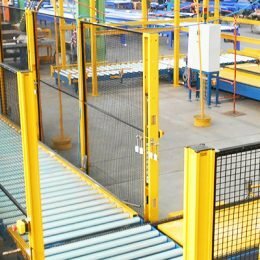 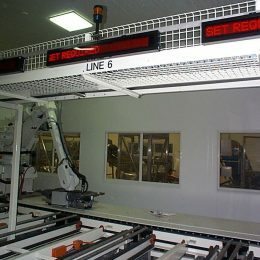 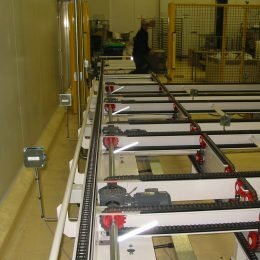 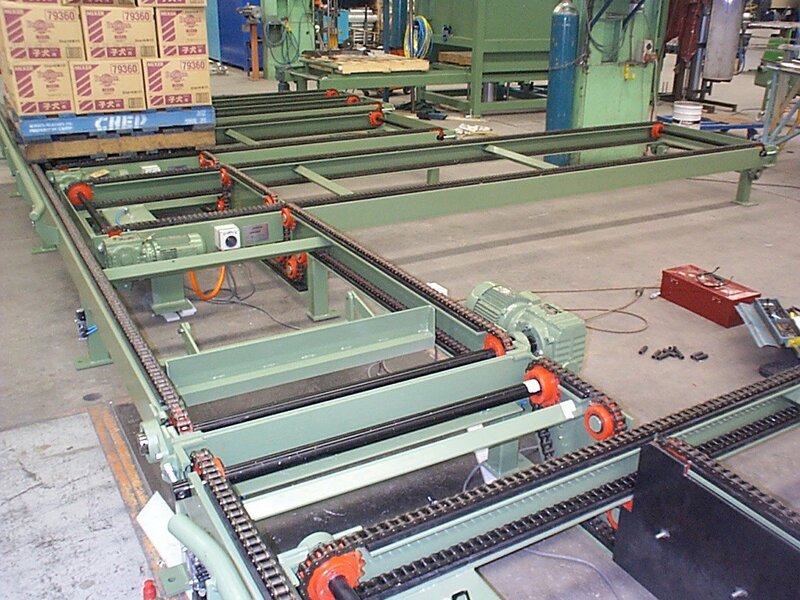 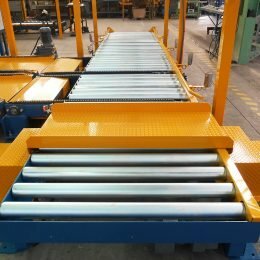 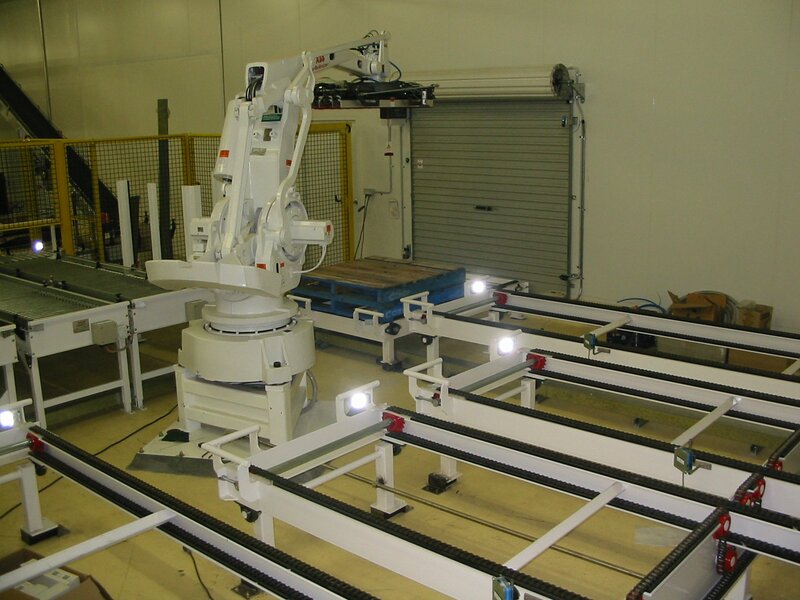 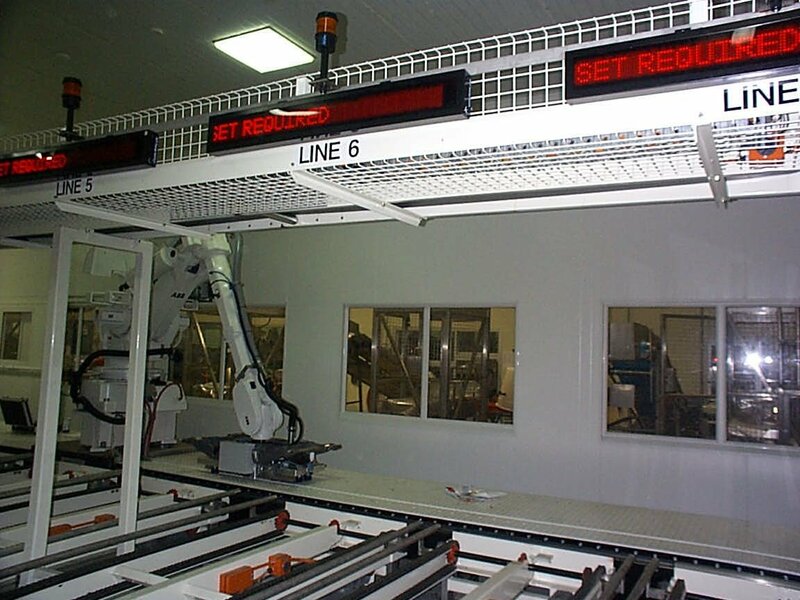 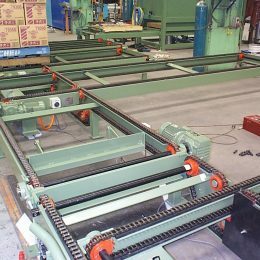 Fully automated robotic system servicing multiple lines with rollers and 90° chain transfers. 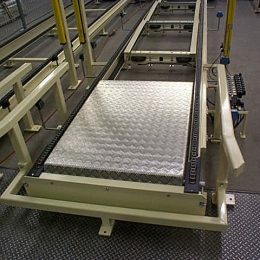 90 degree rise / fall transfers. 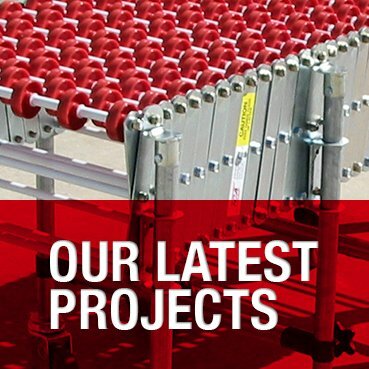 Available with filling and weighing stations.